If you’re looking to rent a podium in Los Angeles. you’ll find this black powder coated metal podium by del rey party rentals as a good rental option. 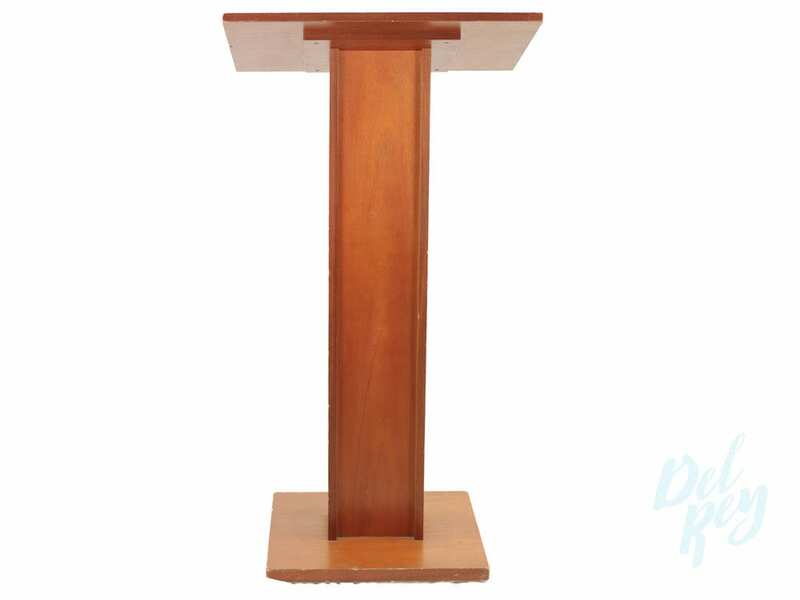 Constructed from 18-gauge steel panels, this is a podium that can withstand constant moving and everyday use in any school, office or special event. The top of this metal podium is extra-wide, offering plenty of room for binders, fact sheets, lecture notes and even large-sized laptops. If that’s not sufficient, there is a front-access box opening for additional storage of presentation materials. This metal lectern looks great, too. Sleek lines and a brushed-black, powder-coat finish to complement a variety of interior designs. Width: 14 in. Depth:23 in. Height:47.75 in. Weight:35 lbs.